Bayern Munich are the latest club to express an interest in Sao Paulo's young defender Breno and are thought to have submitted an offer of 15million Euros to secure his services. 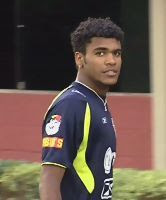 Breno, 18, has been attracting a lot of attention following some excellent displays for the championship winning side, with Real Madrid also thought to have been in discussions with Sao Paulo over the youngster's future. Sao Paulo are desperate to keep hold of Breno for the Copa Libertadores next year. If Bayern would agree to him staying with the Brazilian club until the summer, it may sway the deal in their favour, with Real Madrid thought to want the player in January.